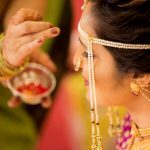 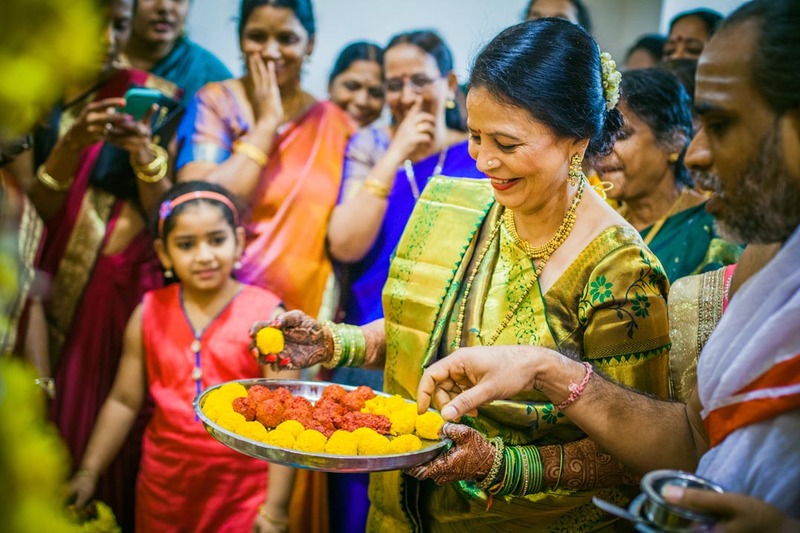 Cross cultural weddings carry their own sweet charm. 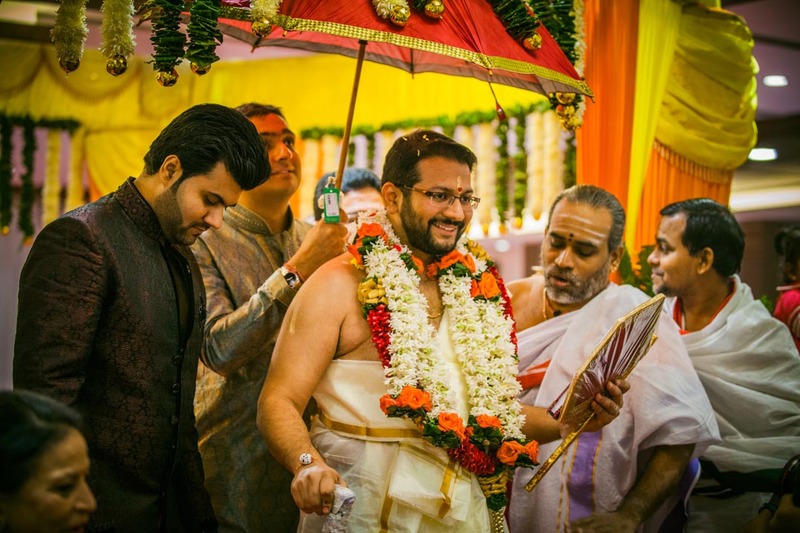 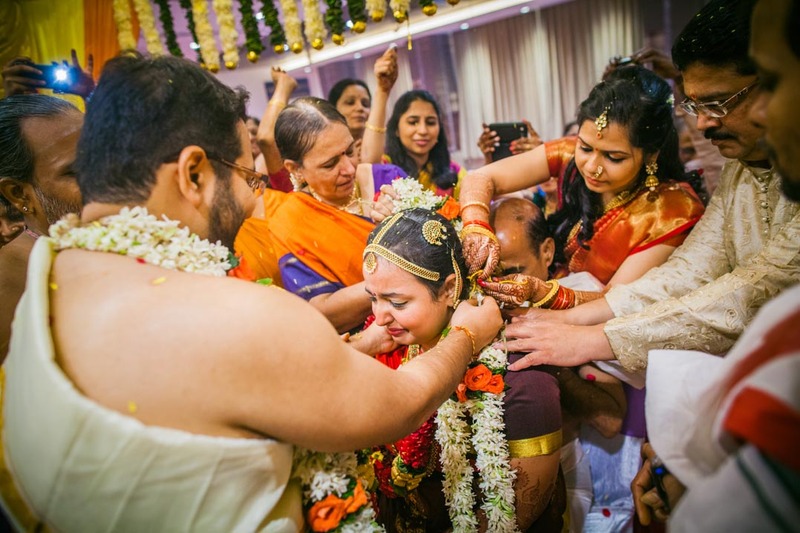 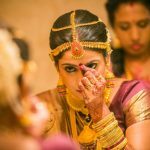 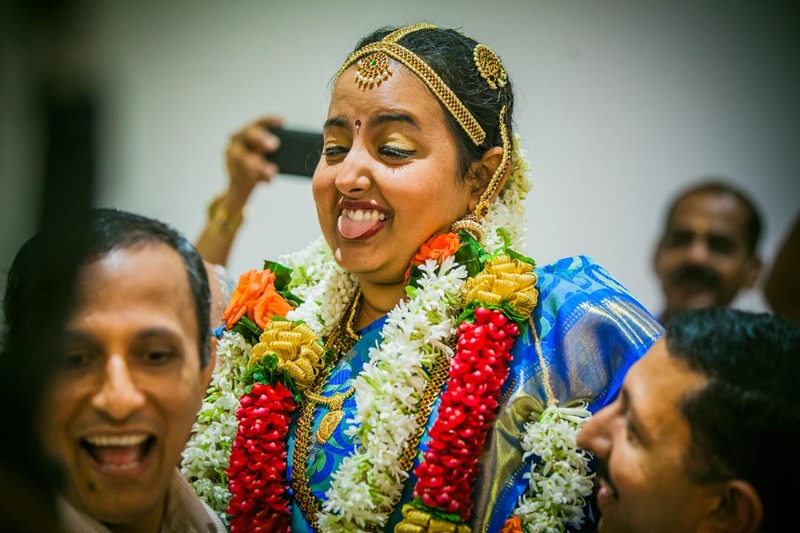 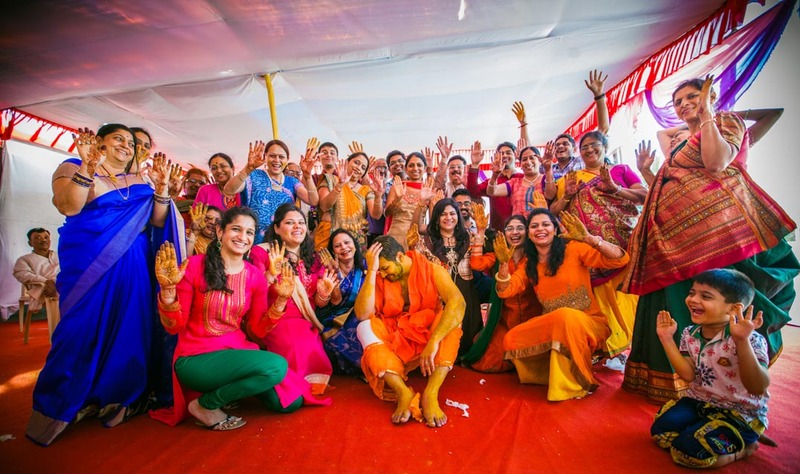 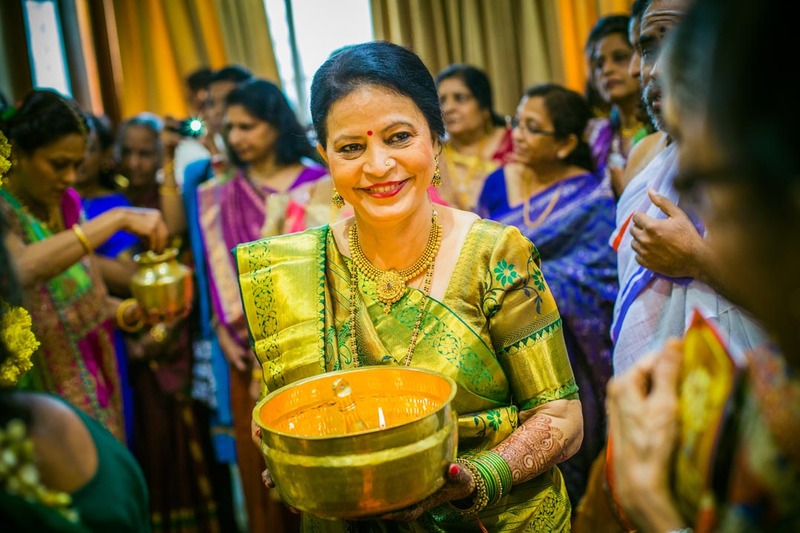 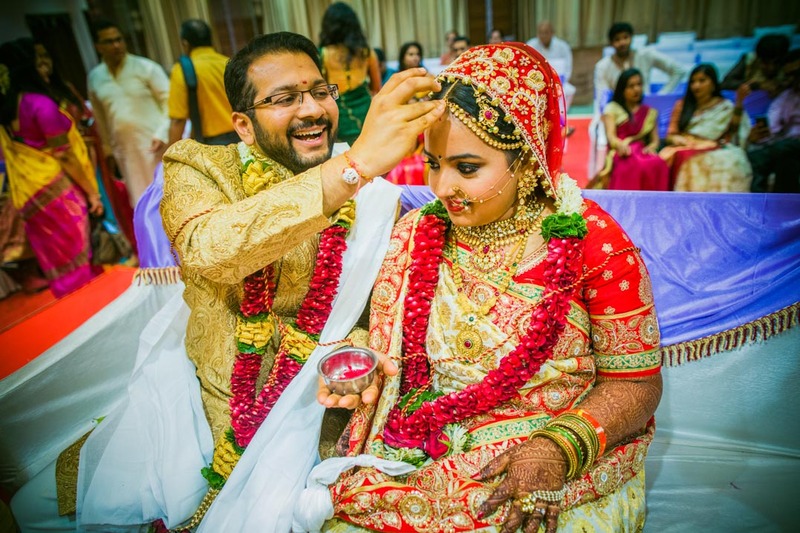 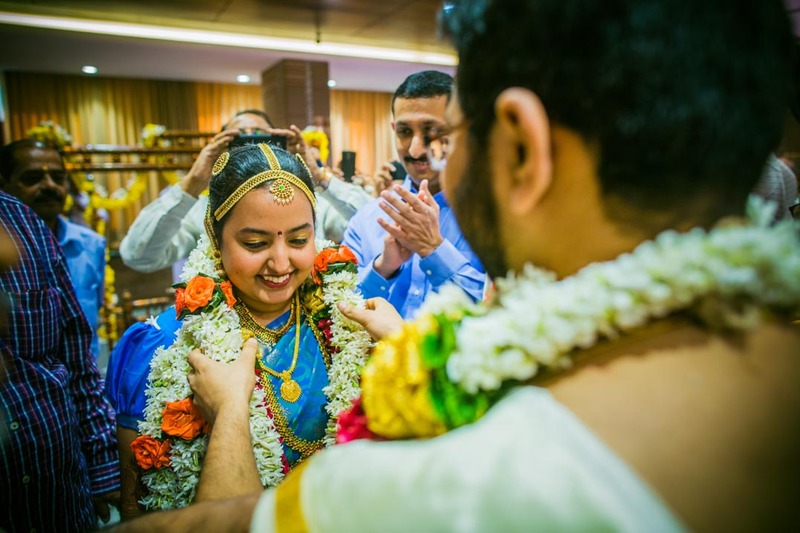 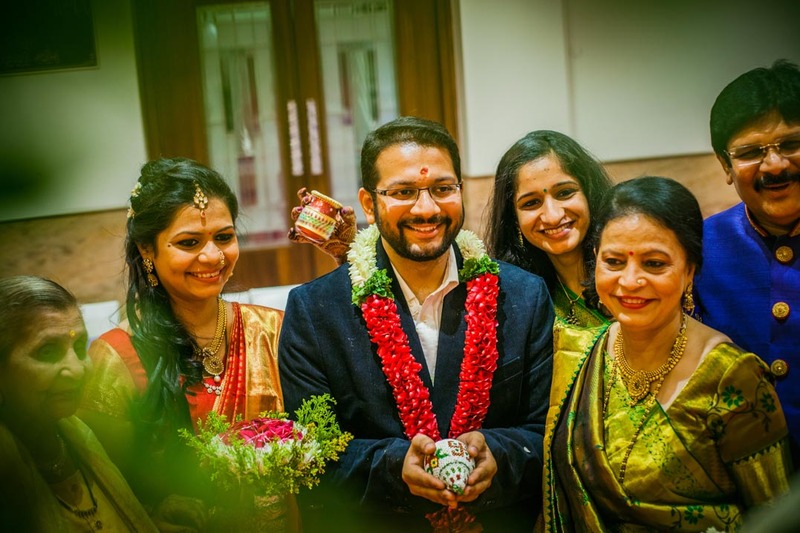 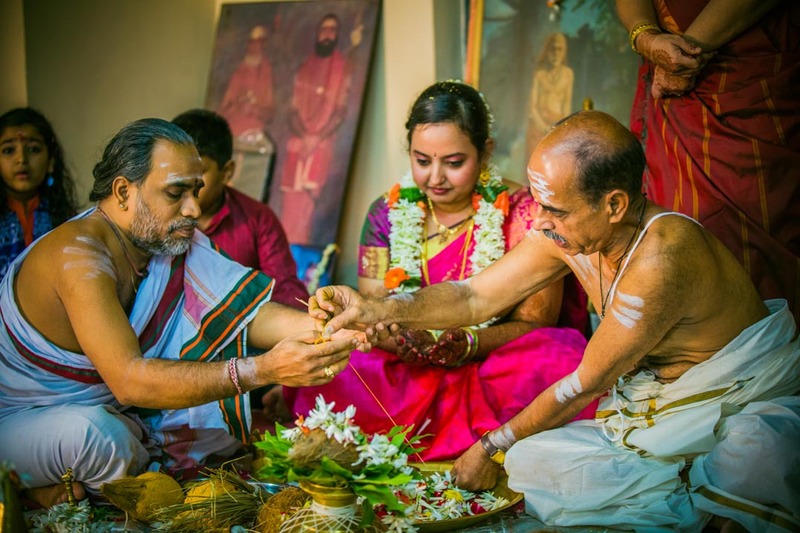 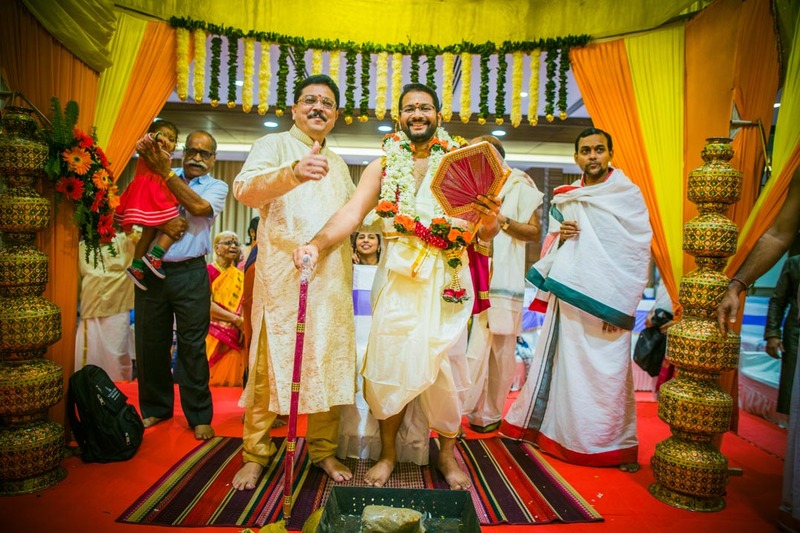 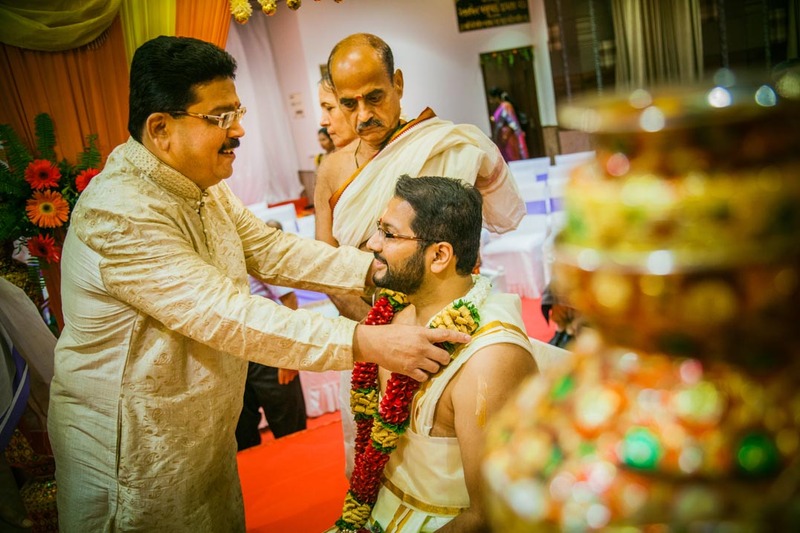 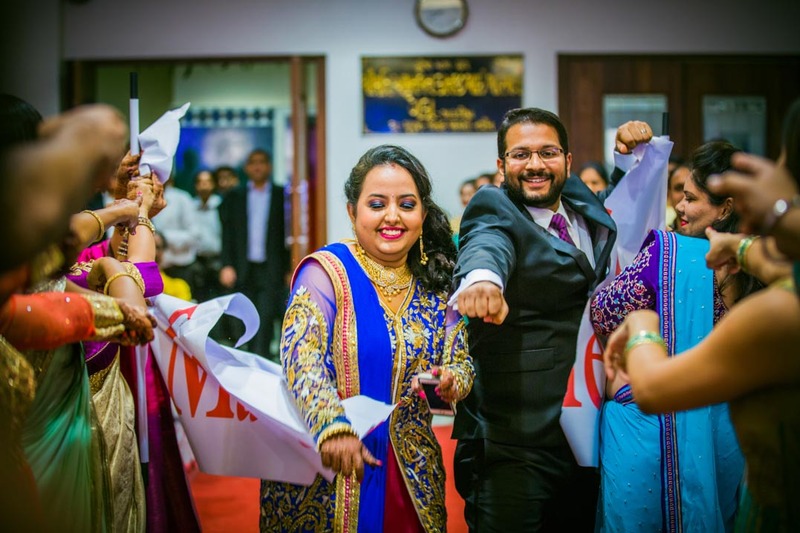 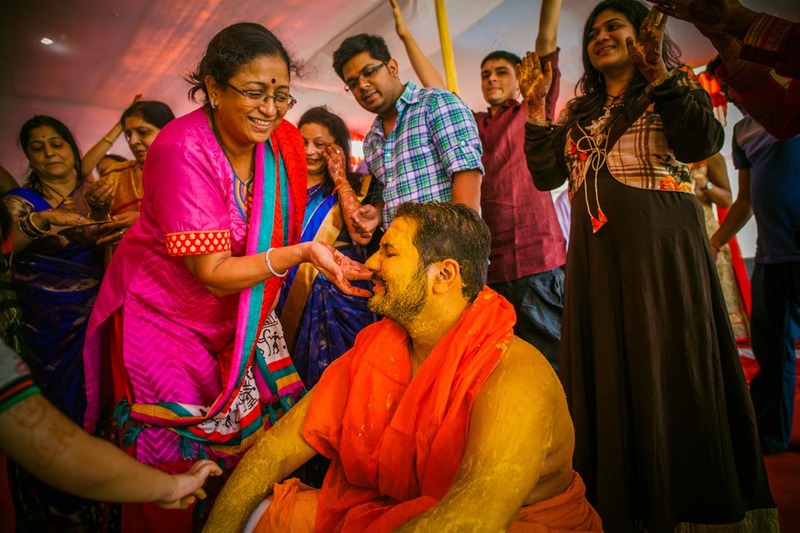 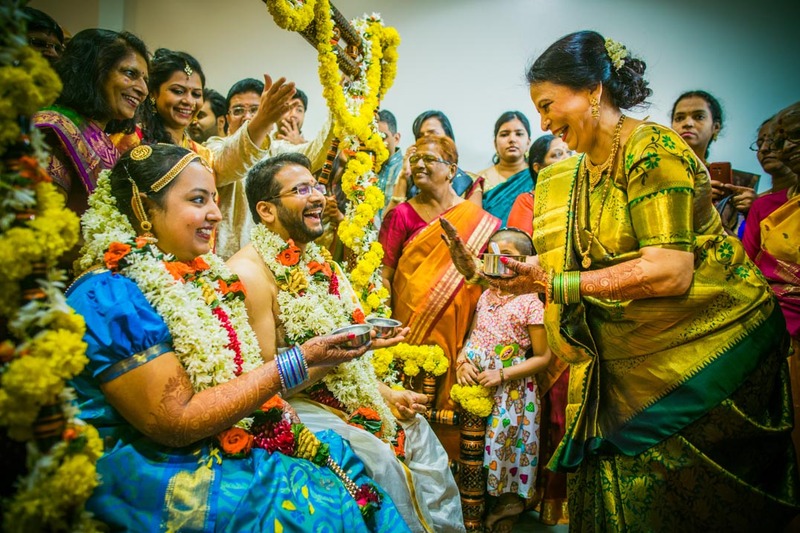 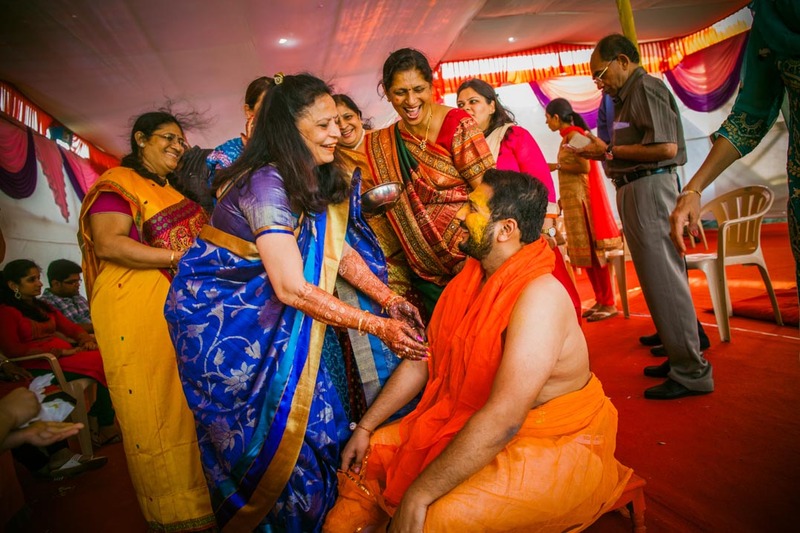 Saurin and Vidya’s wedding brought forth some of the best amalgamations of Gujarati and Tamil Brahmin wedding rituals and gave us a jewel in our south Indian wedding photography work. 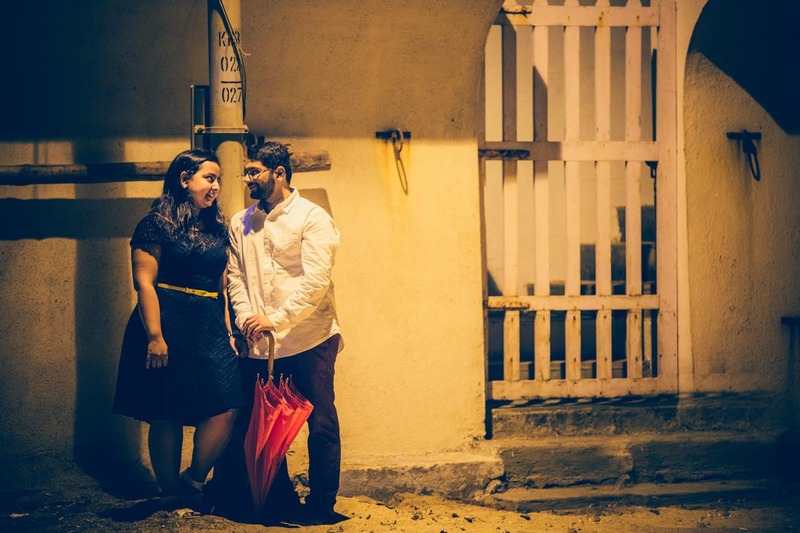 Saurin hails from a Gujarati family in Mumbai, while Vidya is a Tamil Brahmin residing in Mumbai. 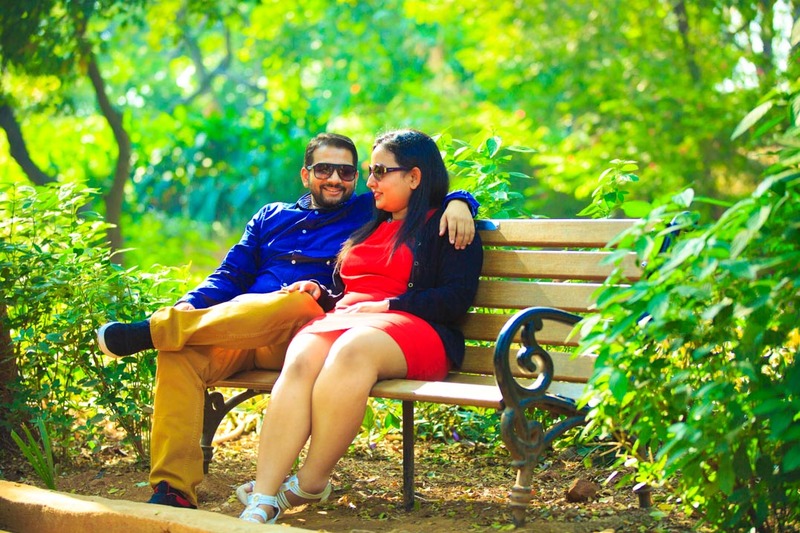 This cute sweet couple met each other while pursuing their studies in United States. 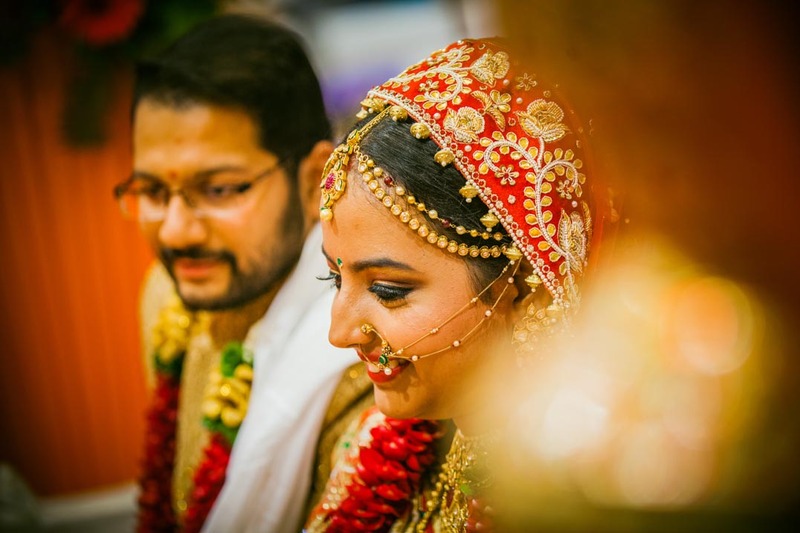 The affinity towards each other soon turned into romance leading to marriage. 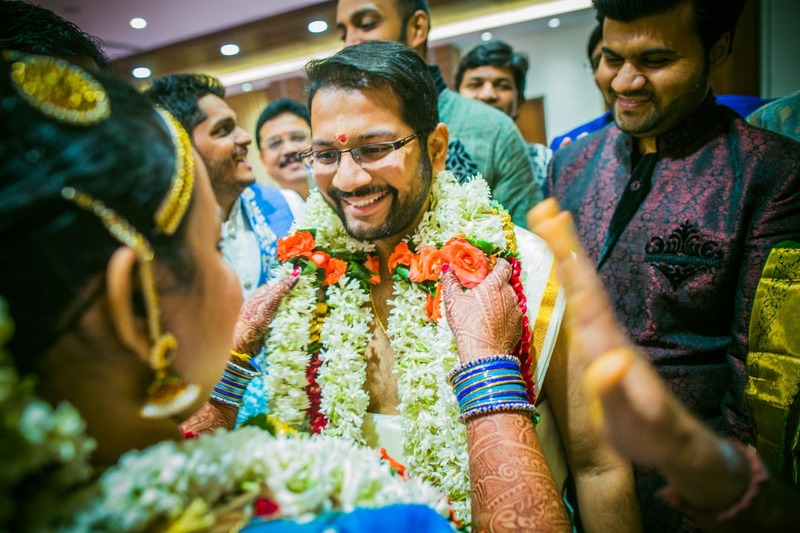 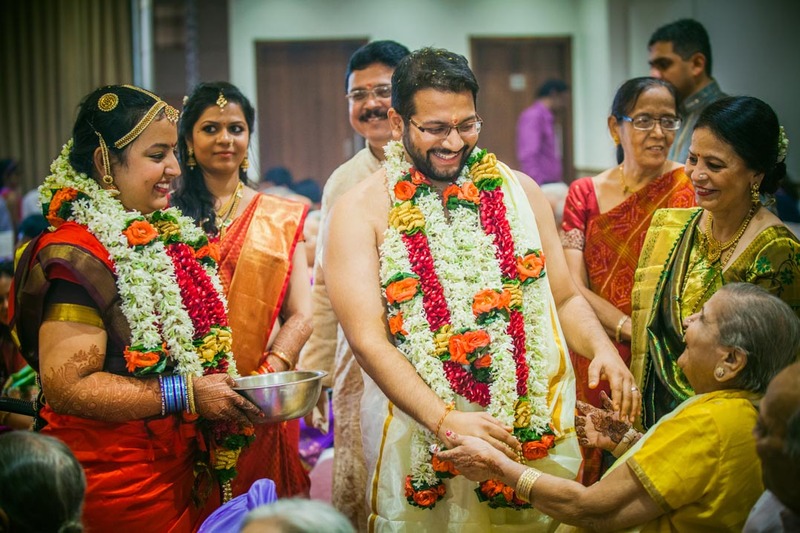 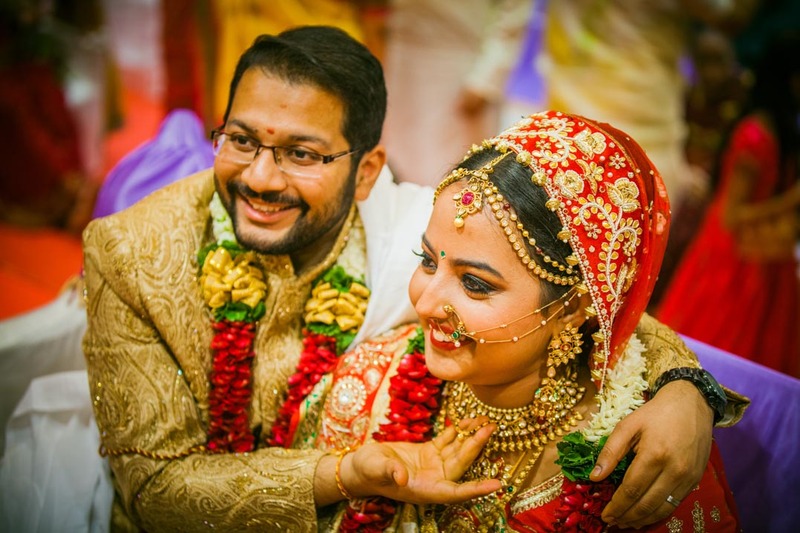 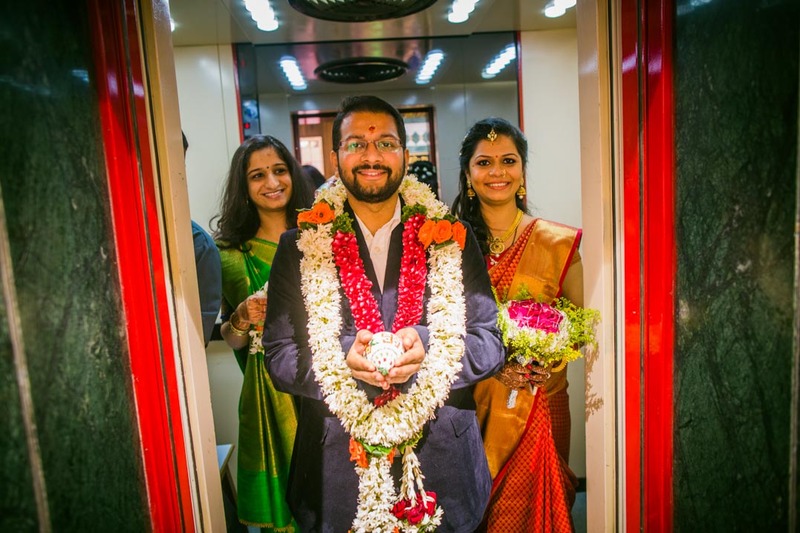 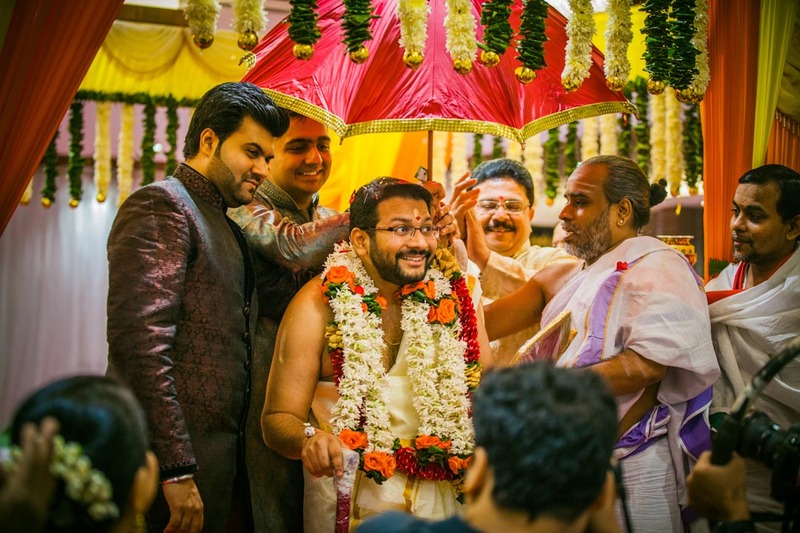 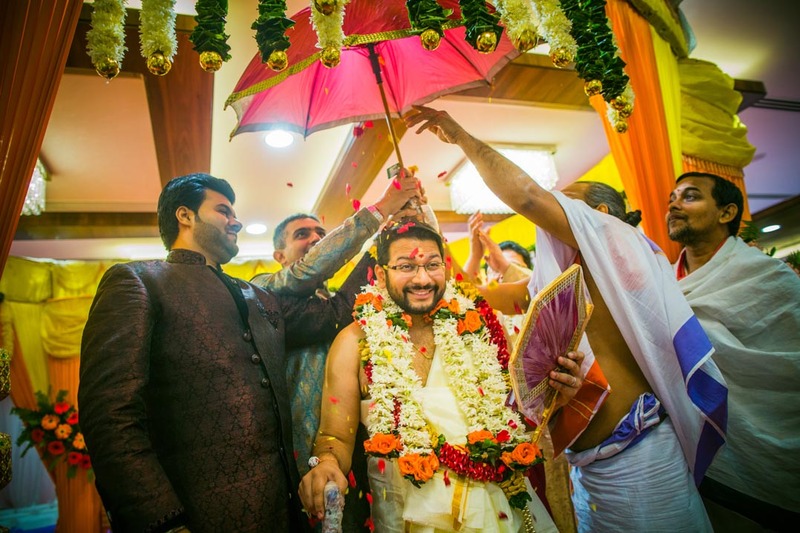 Both work there as software professionals and flew to Mumbai for their culturally rich colourful wedding ceremony and chose CandidShutters for their south Indian wedding photography. 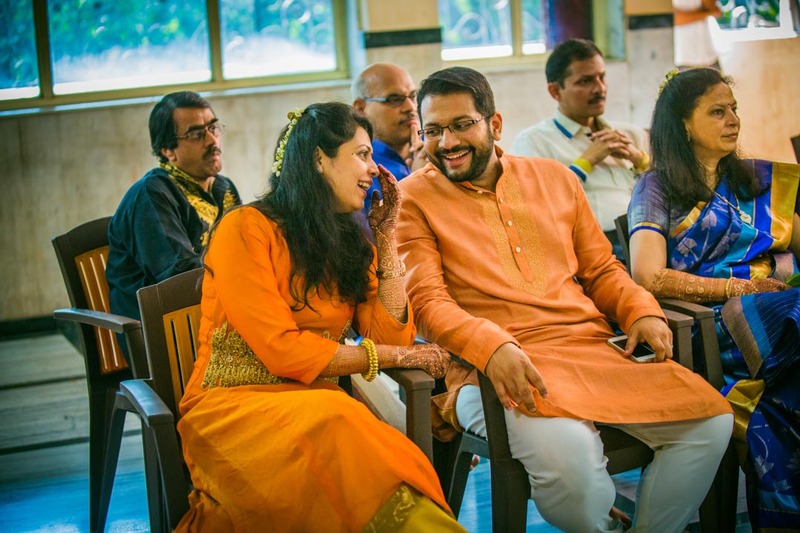 The cuteness of this ever so polite and endearing couple easily rubs into anyone who meets them. 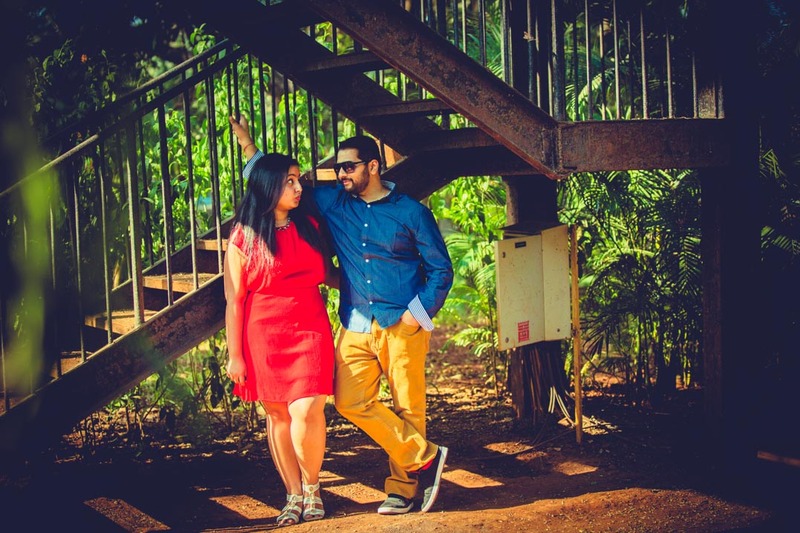 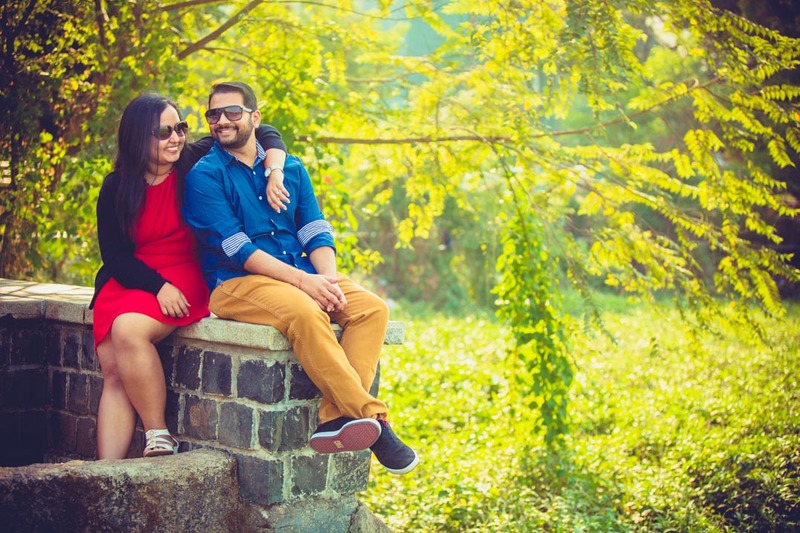 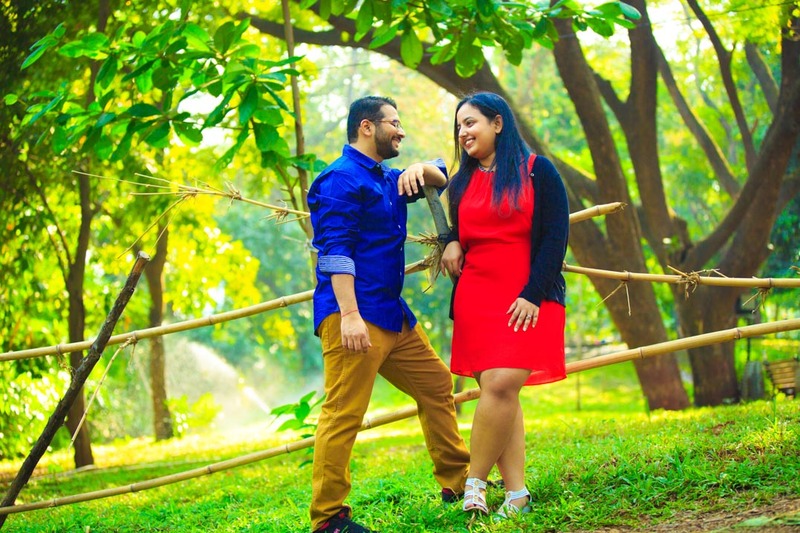 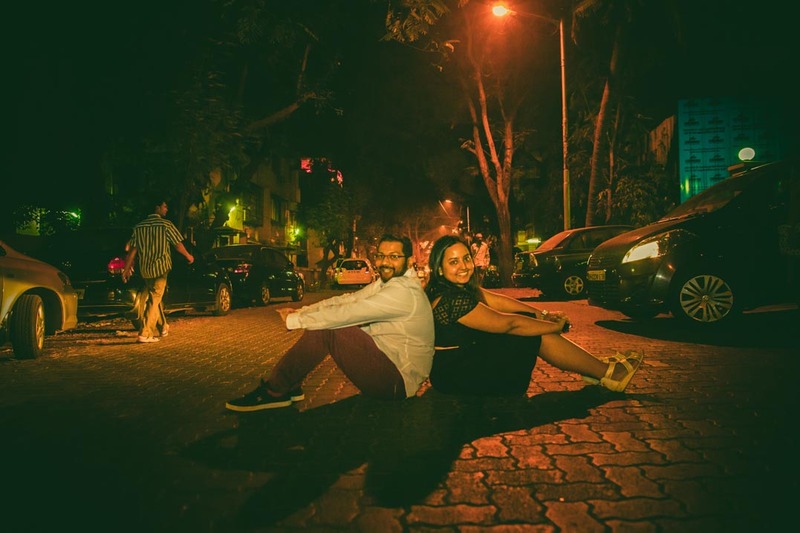 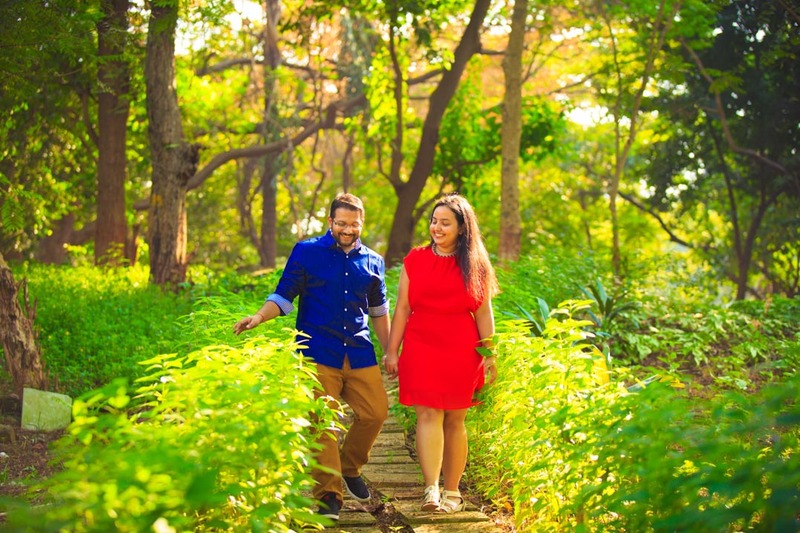 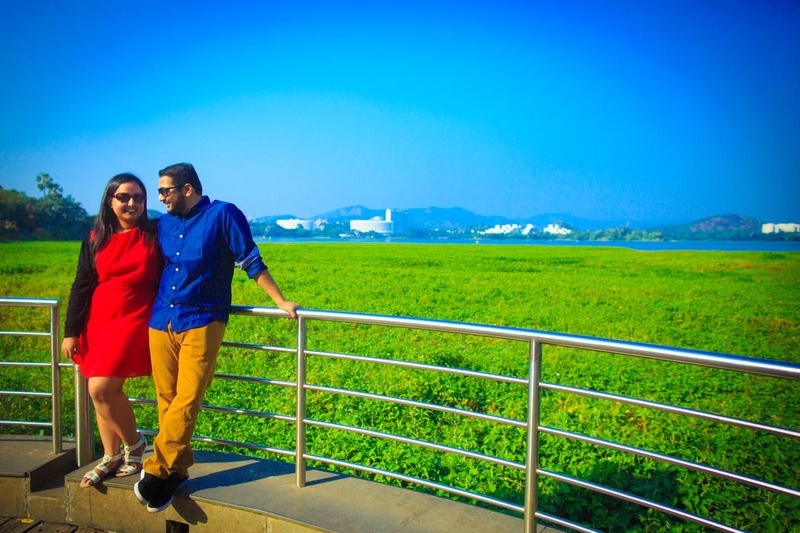 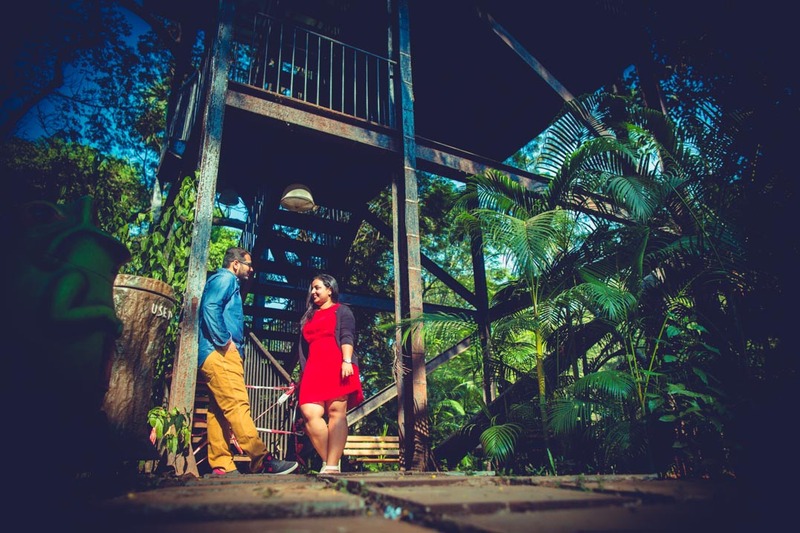 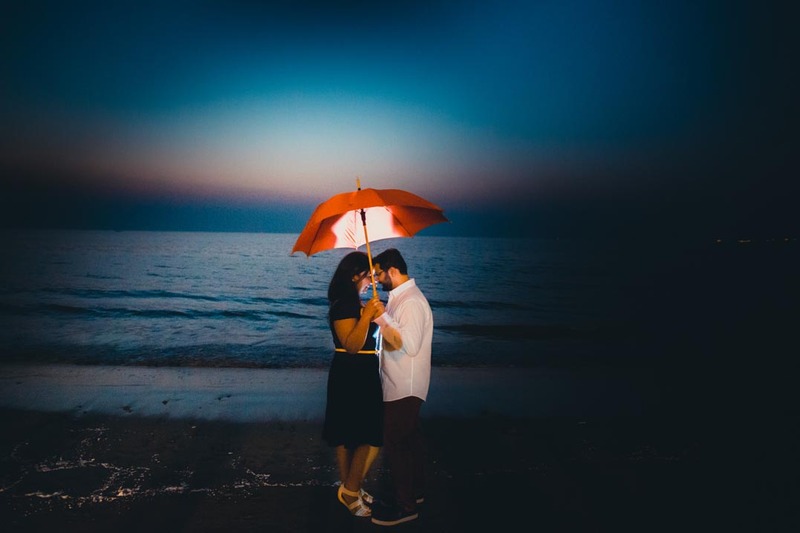 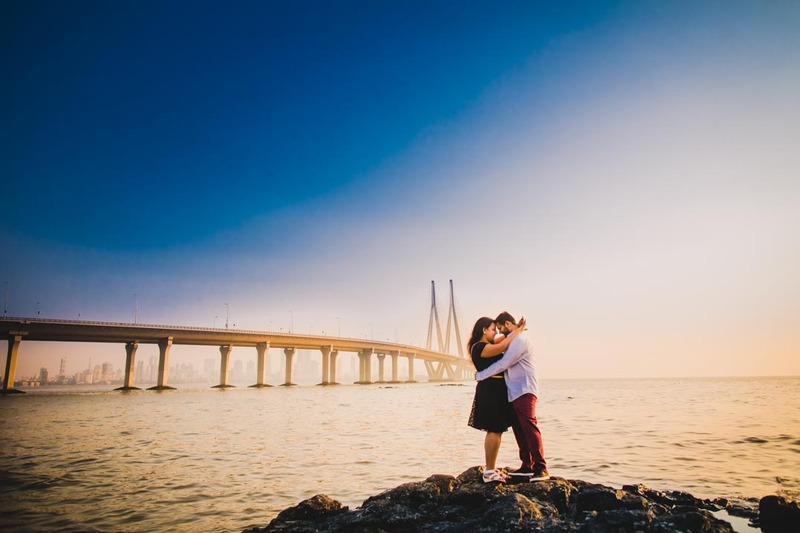 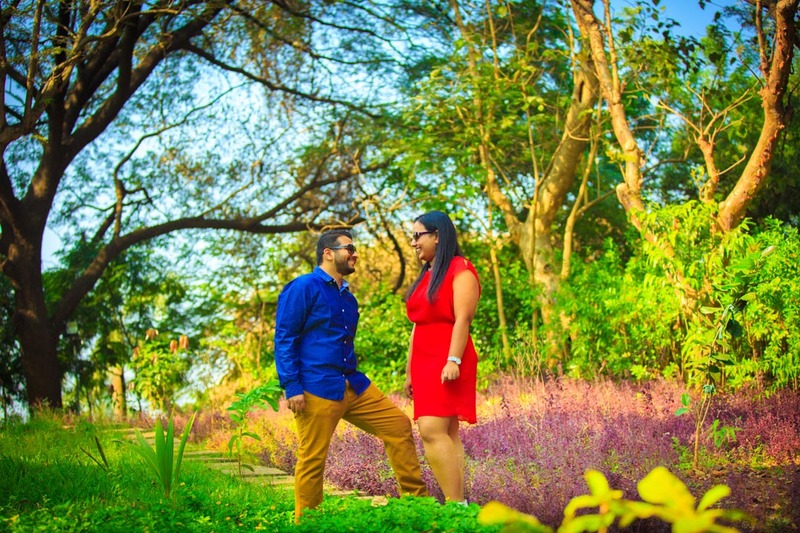 Their love for each other is palpable in their scenic pre-wedding couple shoot held at Powai’s picturesque landscape. 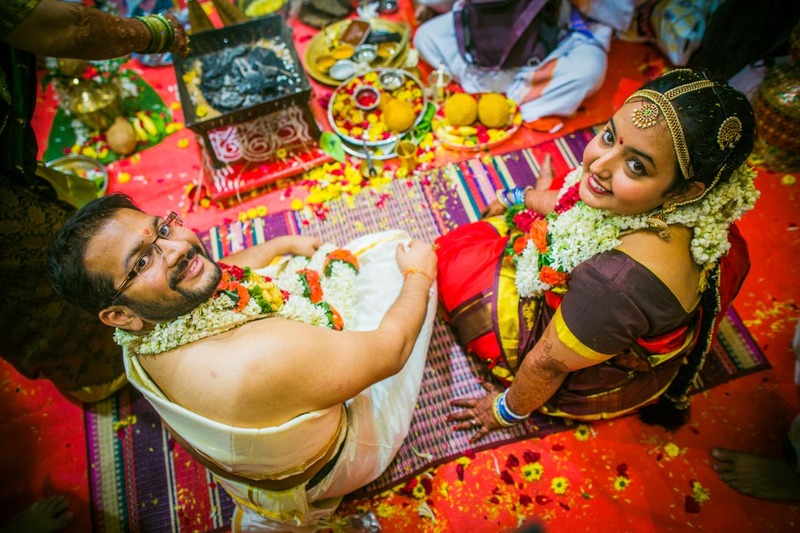 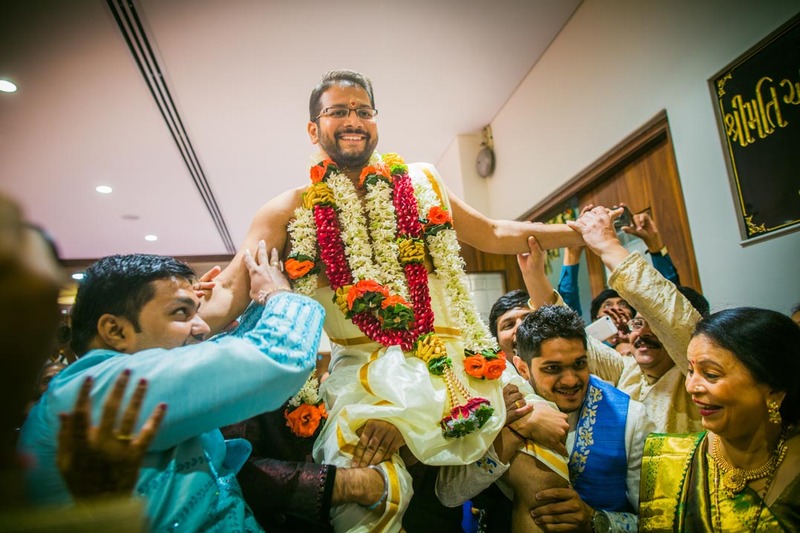 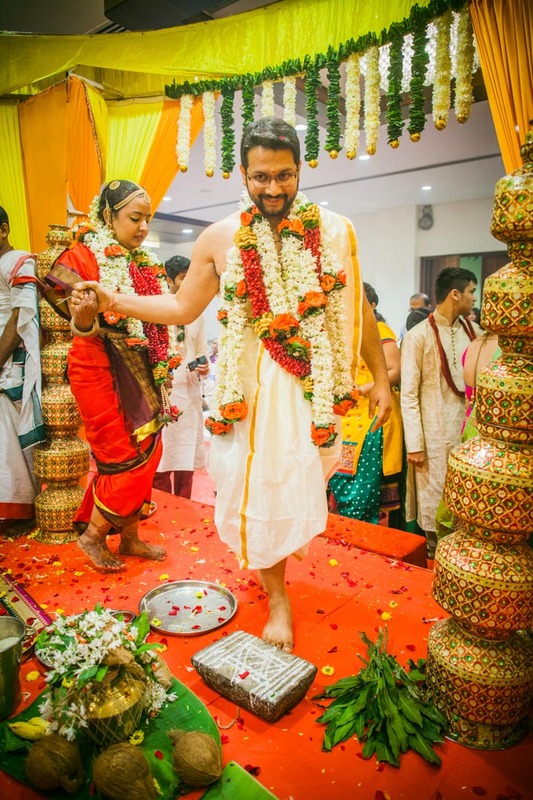 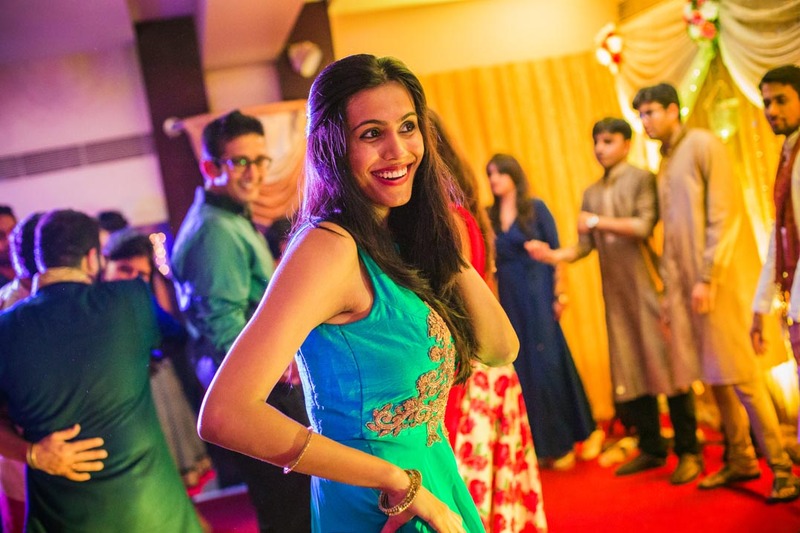 The wedding, a three-day affair with a rich blend of Gujarati and south Indian traditions. 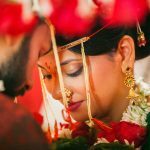 Amidst all the cheerful smiles, warming hearts, chuckles and dances, what stole the limelight was comforting soothing love this couple exuded for each other throughout ceremonies. 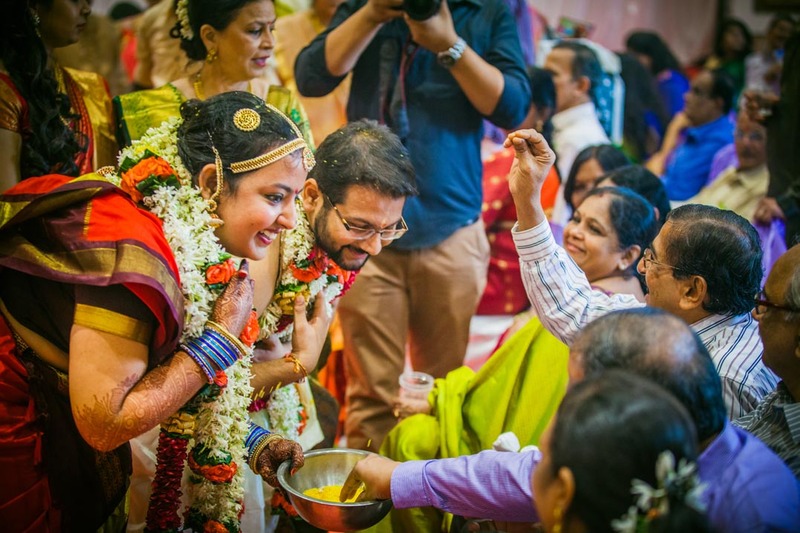 Indeed, a sweet wedding to remember for times to come. 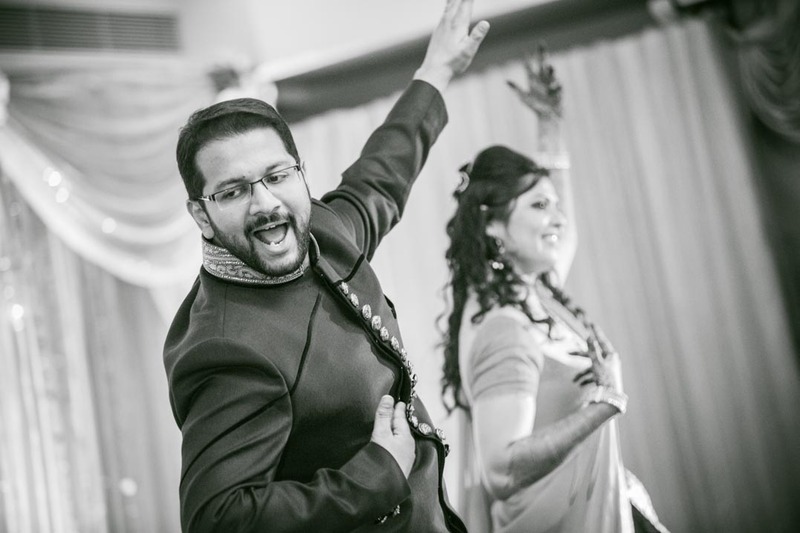 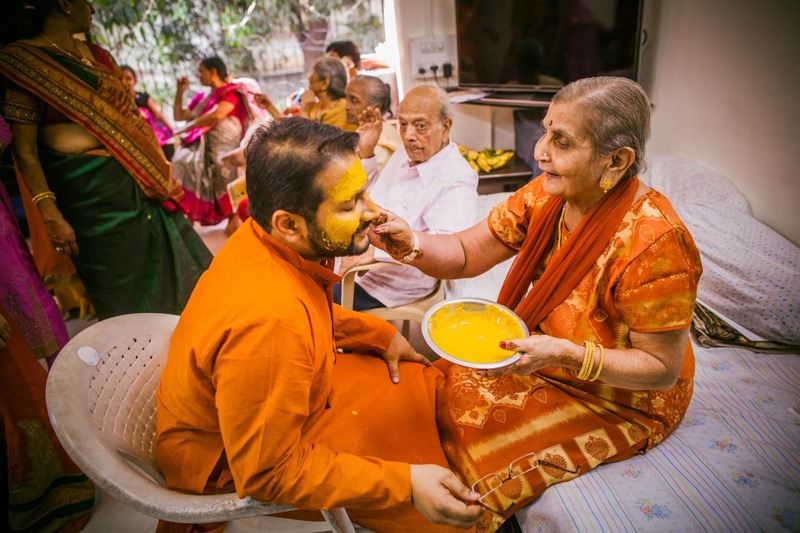 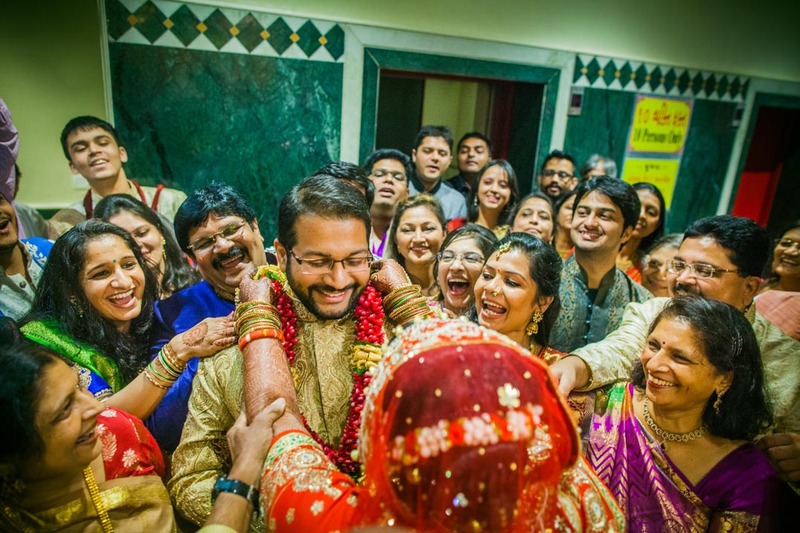 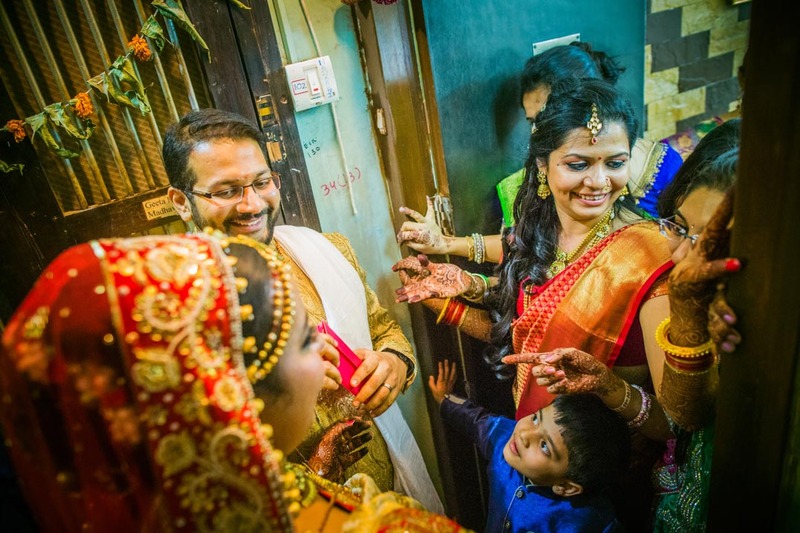 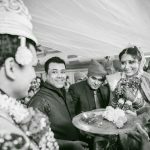 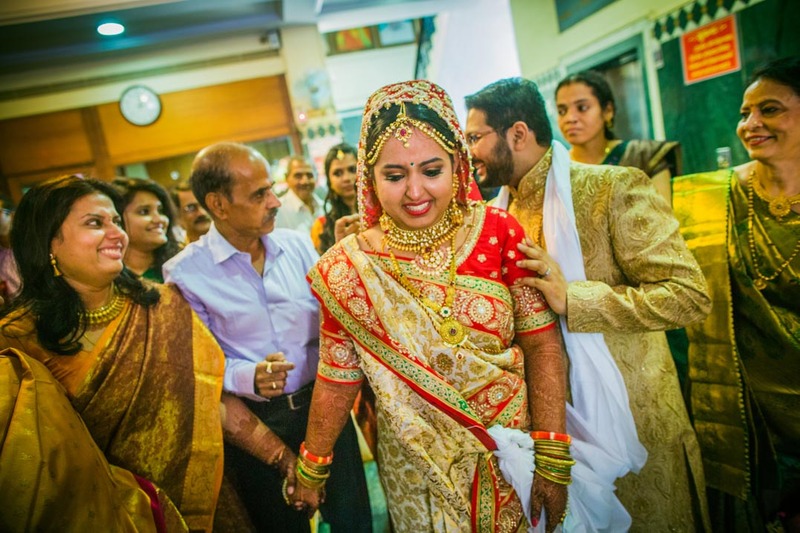 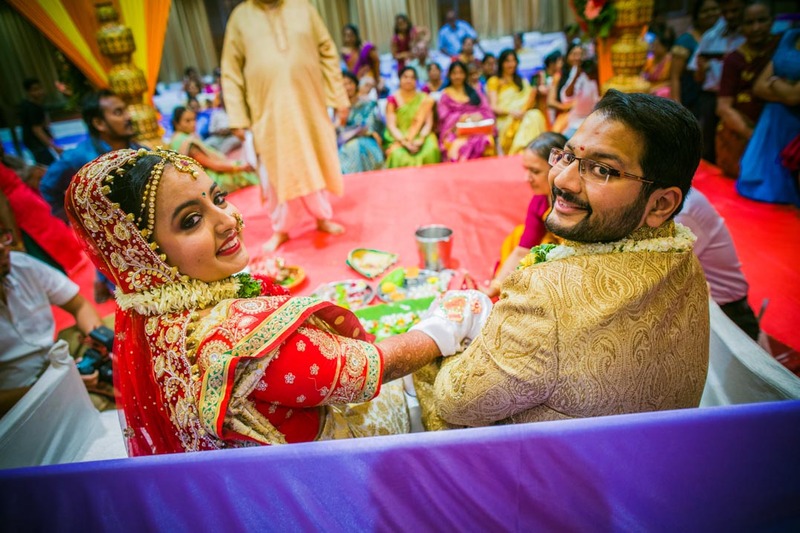 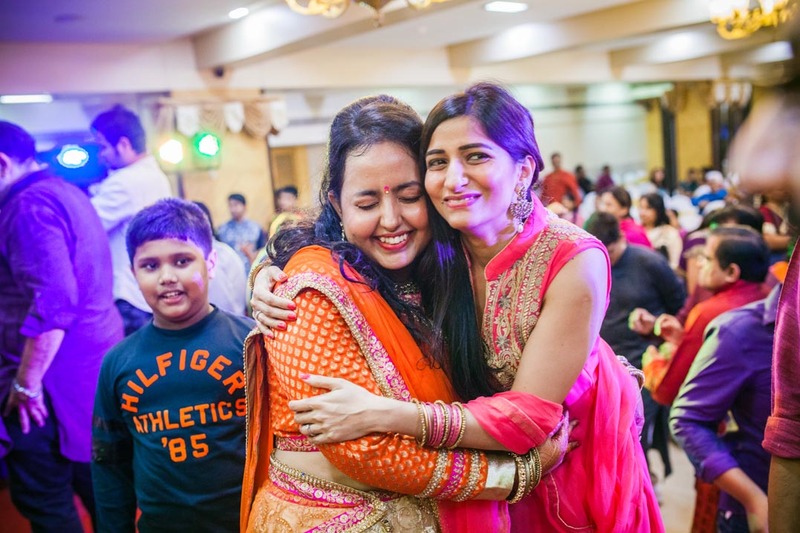 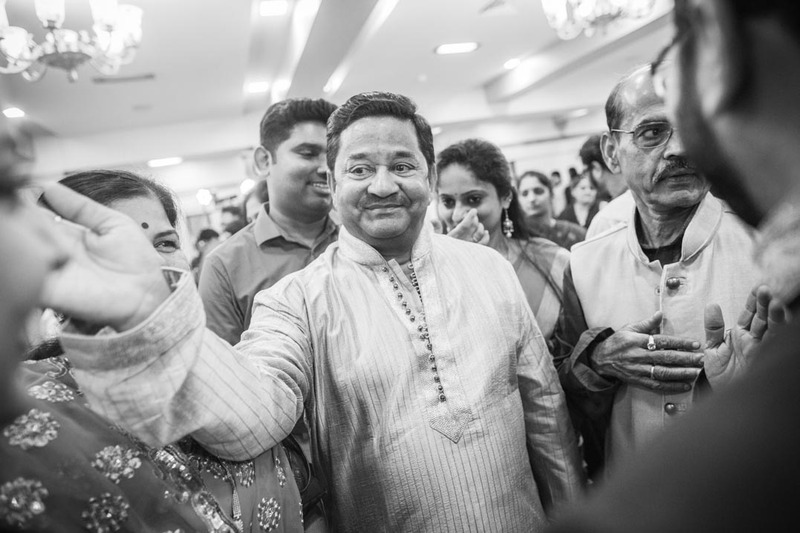 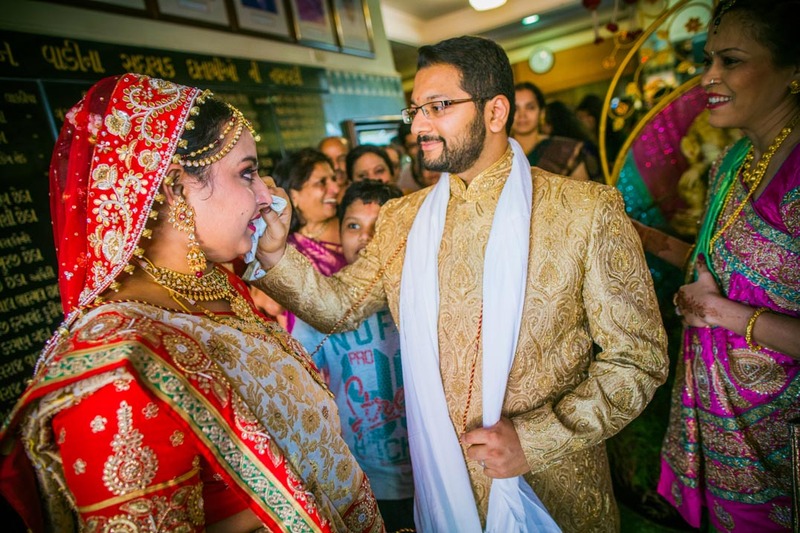 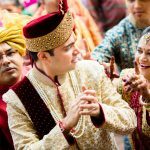 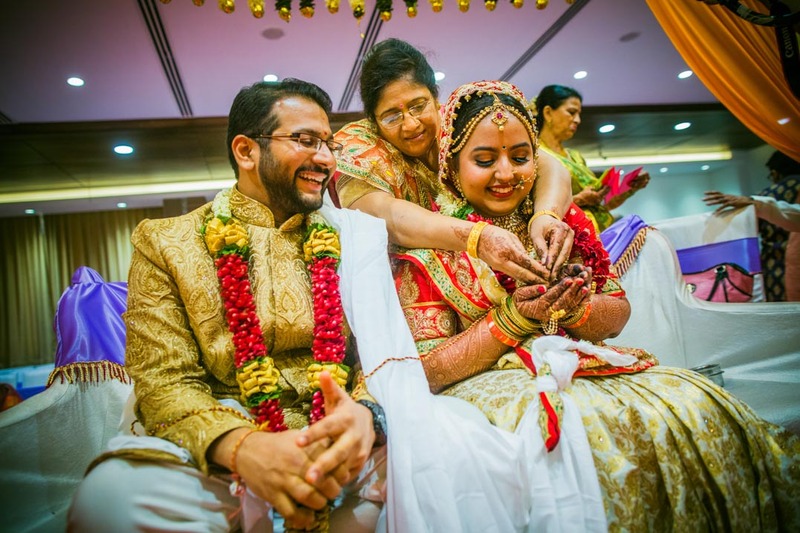 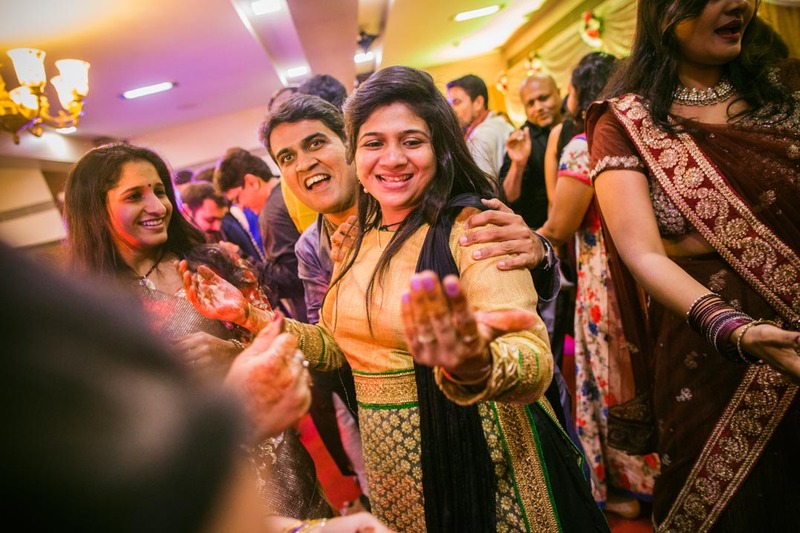 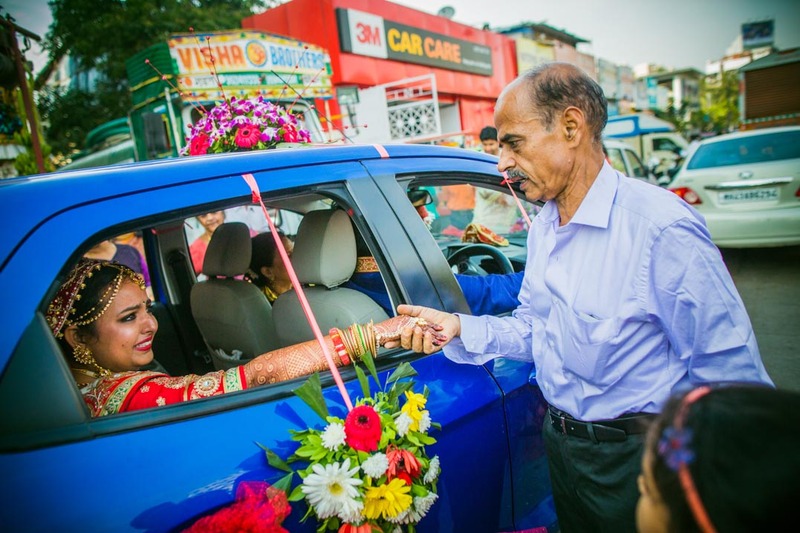 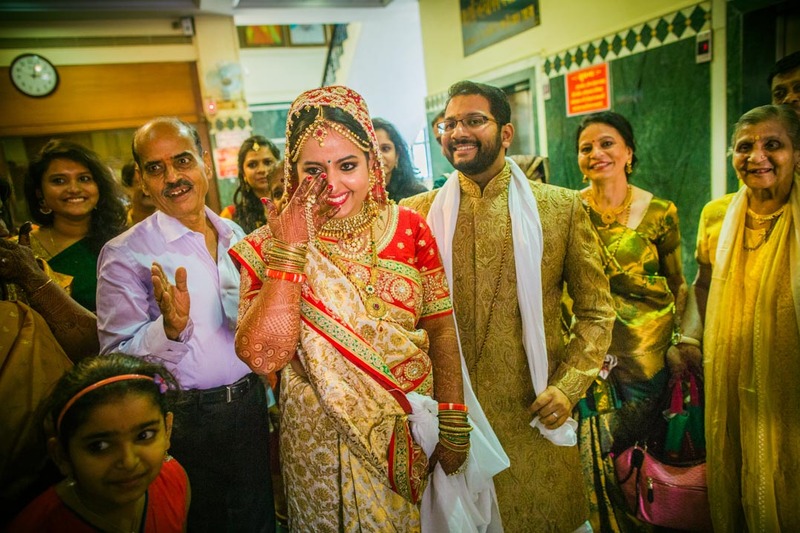 One of the cutest and most charming Gujarati and Tamilian candid wedding moments captured to sensory delight.